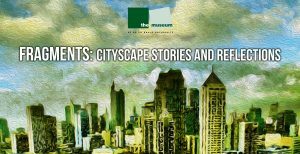 The Museum at De La Salle University opened its third exhibition that focuses on art and environment entitled FRAGMENTS: Cityscape stories and reflections. 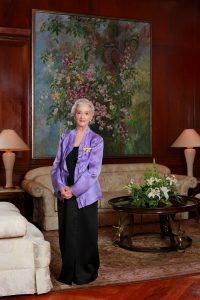 The exhibit will be on view until August 18 at the 2nd Level of the Don Enrique Yuchengco Hall in the Manila campus. The word “Fragment” means “broken off,” “incomplete,” or “detached.” This alludes to people’s stories within the city, their lives and experiences as a small piece of a whole. The exhibit presents the essential structures and developments of a city plus people’s activities at daytime and nighttime, as interpreted by artists. The selected pieces also express stories of inspiration through their artistic representation of the physical aspects of a city. It aspires to motivate and encourage viewers to participate, in their own way, in making our surroundings clean, orderly, beautiful, and pleasantly inhabitable. The exhibit also gives viewers freedom to speak of their mind through art by creatively writing their opinions, drawing, and forming puzzles. This serves as an interactive experience for all visitors. This aspect of the exhibit aims to touch the domains of learning through the use of cognitive, psychomotor, and affective skills in order to encourage viewers’ formulation of fresh ideas which can be applied in their daily lives. The artworks in “Fragments” are from the Wili and Doreen Fernandez collection, University art collection, and loaned works from selected artists and art collectors. This exhibition is open to the general public. 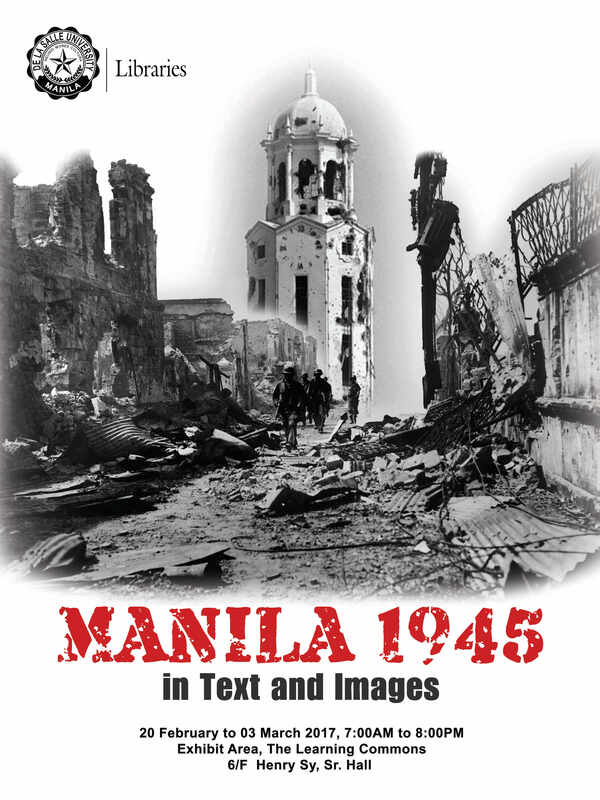 For more information, please contact The Museum at (+632) 5244611 local 368 or email: nicky.bradecina@dlsu.edu.ph. You may also check The Museum website at http://themuseum.dlsu.edu.ph. 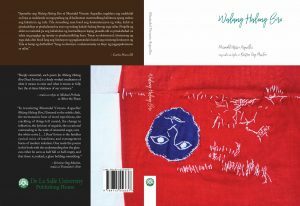 The Department of Literature of De La Salle University will conduct “Writing the Classroom: National Conference on the Teaching of Literature and the Humanities” from May 25 to 27 at the Verdure, 4/F Henry Sy, Sr. Hall, in Taft Avenue, Manila. This is open to all teachers of literature especially those who are teaching in either senior high school or college levels. 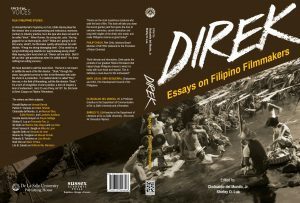 The 3-day conference will have plenary lectures, lesson planning workshops, and teaching demonstrations on the following topics: teaching poetry, teaching fiction, teaching drama, teaching creative nonfiction, teaching 21st century Philippine literature, teaching Afro-Asian literature, teaching Anglo-American literature, teaching literary theory and criticism, and teaching Rizal’s Noli Me Tangere. 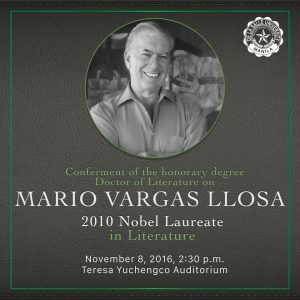 Recognized by the Commission on Higher Education as a Center of Development, the DLSU Department of Literature is home to writers and scholars who are respected and published in the Philippines and abroad. 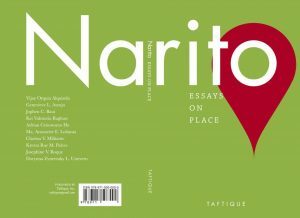 It has on its faculty winners of the Carlos Palanca Memorial Awards and the National Book Awards. The conference fee is P1,500 that comes with a teaching manual. The fee does not include food and accommodation. For more details and reservations, please email the conference director, Dr. John Iremil E. Teodoro, at john.iremil.teodoro@dlsu.edu.ph or call telephone number 524-4611 local 541 or 532 and look for Donna Mina. The DLSU Bienvenido N. Santos Creative Writing Center (BNSCWC) announces Write Green: Premio Ambahan 2016. This competition seeks to promote the writing of ambahan as a contemporary expression deep-rooted in our tradition. Ambahan is a short poetic form indigenous to the Hanunuo Mangyans of Mindoro. It consists of seven-syllable lines, mono-rhyme scheme, and images illustrating people’s lives in relation to their natural habitat. Its original language uses an ancient syllabary or a writing system Indic in origin. Premio Ambahan is open to all bona fide undergraduate students of De La Salle University, Taft and STC campuses. The entry is one (1) good unpublished poem, an original work. It should follow the stylistic features of an ambahan, composed in English or Filipino. Theme is landscape and environment. The poem may reflect on green things, retell scenes of disasters, rediscover myth and milieu, imagine the future, or just love the planet. Only one entry per contestant will be accepted. Entry should include author’s full contact information (address, email, phone) and copy of current EAF (3rd Term AY2015-2016). Not eligible for the contest are the student personnel of BNSCWC. Three winners will be selected to receive the following prizes: First, PHP5,000; second prize, PHP4,000; and third prize, PHP3,000. 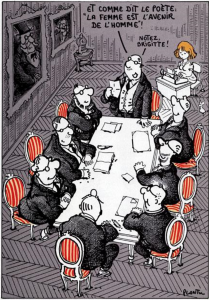 The decision of the Board of Judges is final. Entry deadline: 30 June 2016. Winners will be announced in August 2016. This competition celebrates the Philippine Environment Month, and complements the DLSU No Impact Experiment in June. For inquiries, please contact BNSCWC at (632) 5244611 local 233; drop by the office at M208; or email bnscwc@dlsu.edu.ph. 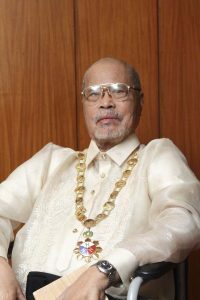 Dr. Cirilo F. Bautista, De La Salle University Professor Emeritus and University Fellow, was among nine Filipinos formally inducted into the Order of National Artists last April 14 by President Benigno S. Aquino III at the Malancañang Palace. The induction of Bautista as National Artist for Literature follows the proclamation made on June 20, 2014. Described as a Renaissance man, Bautista is a poet, fictionist, painter, literary critic, and educator. 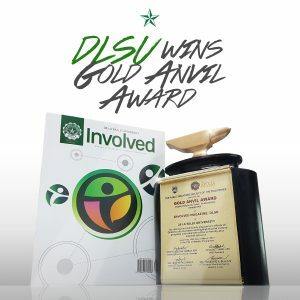 At DLSU, he was honored as a member of the elite group of University Fellows. He spent 33 years teaching in the University, retiring in 2006. He earned his Doctor of Arts in Language and Literature at DLSU in 1990. He was an exchange professor and honorary fellow in various universities abroad. 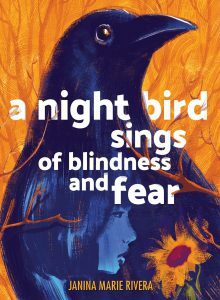 He received notable literary recognitions including the first Hall of Fame Award of the Don Carlos Palanca Memorial Award for Literature, numerous National Book Awards, and the Grand Prize in the Centennial Literary Contest. 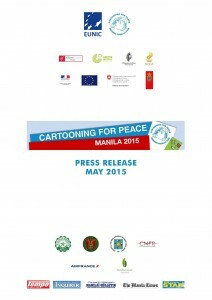 EUNIC (European Union National Institutes for Culture), the Cultural Center of National Institutes composed of Alliance Française de Manille, Goethe-Institut Philippinen, along with the Embassies of Denmark, France, and Switzerland in the Philippines will present Cartooning for Peace in Manila in May 2015. Cartooning for Peace project, spearheaded by EUNIC Philippines, aims to invite European cartoonists from the Cartooning for Peace international network, together with Filipino cartoonists to participate in a series of conferences, master classes, interviews, and cartooning workshops in De La Salle University and other reputable academic institutions in the Philippines. DLSU will host a master class for selected students for its segment of the tour on May 7, 2015 and will be lead by renowned cartoonist Plantu, Bob Katzenelson, and local veteran Manix Abrera. This project will also collaborate with leading newspapers companies such as Manila Bulletin, Manila Times, Philippine Daily Inquirer, Philippine Star, and Tempo to promote the event and to publish their cartoons in their respective editorial sections. 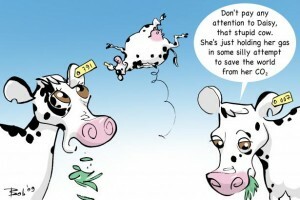 Among its objectives is to encourage understanding among different cultures and beliefs using editorial cartoons. In particular, the initiative hopes to raise awareness on the role of cartoonists in promoting peace and fighting prejudice. It hopes to provide opportunities for interaction between the international cartoonists and the Filipino cartoonists, journalists, academe and the general public of the Philippines. 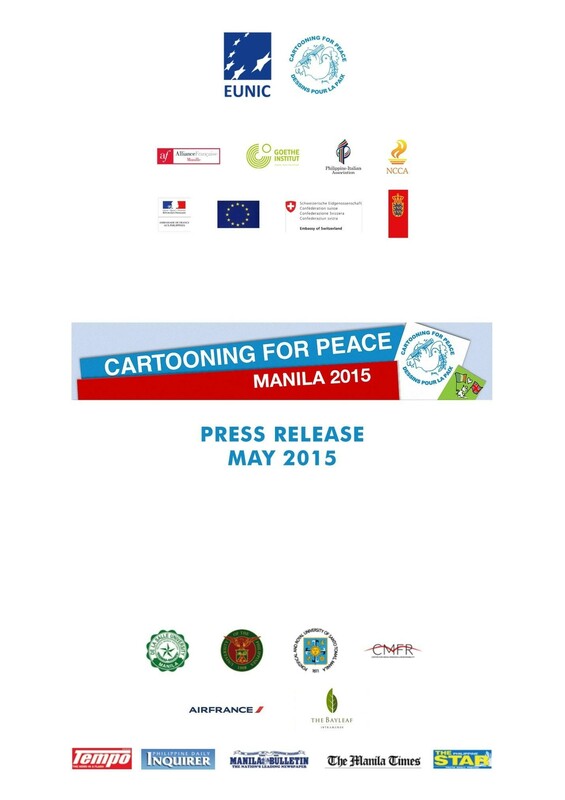 Five cartoonists from Europe (Denmark, France, Germany, and Switzerland) and six cartoonists from the Philippines will participate in Cartooning for Peace in Manila. Founded at the United Nations Headquarters in New York in 2006 by Kofi Annan (former Secretary General of the United Nations) and Plantu (French cartoonist), Cartooning for Peace is a network of 130 cartoonists around the world who use the power and language of images to fight for peace and freedom of expression. EUNIC is the network of the European National Institutes for culture. Formed in 2006, EUNIC is a recognized leader in cultural cooperation. Its members work in the arts, language, youth, education, science, intercultural dialogue and development sectors.